Listing courtesy of Coldwell Banker Residential, Dawn Rejebian. A Pierremont Gem located on a coveted corner, backs to a greenbelt. Beautifully updated kitchen, Cherry cabinets, French Brown backsplash, induction cooktop, stainless appliances, great pantry pull out drawers. Large dining with beautiful bay window afforded by the corner location. The living area features wall of windows and a French door along the back that opens to the updated courtyard. A brick surround gas fireplace along with a wall of built-ins and wet bar finish out this lovely room. The Master bedroom is oversized with a gas fireplace, sitting area and room for a good size study. The Master bath is updated with an oversized seamless glass enclosure. Guest bedroom could work as a second Master bedroom. 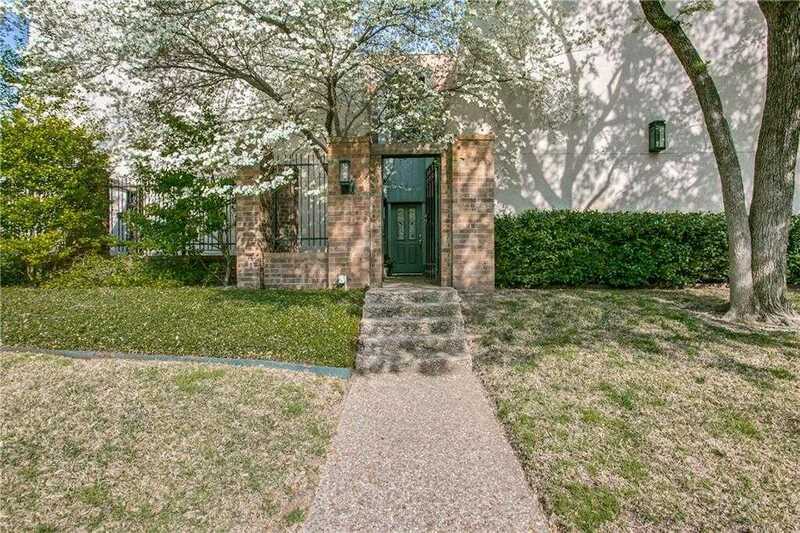 Please, send me more information on this property: MLS# 14063491 – $475,000 – 4103 La Place Drive, Dallas, TX 75220. I would like to schedule a showing appointment for this property: MLS# 14063491 – $475,000 – 4103 La Place Drive, Dallas, TX 75220.